724, 725 and 730 digitizer family and allow for trigger-less acquisitionv systems. 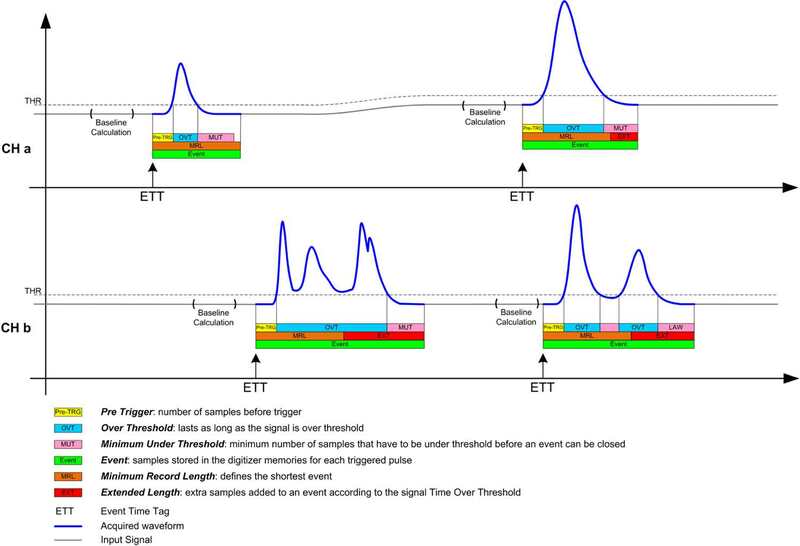 By running DPP-DAW firmware, each digitizer channel is able to selftrigger and acquire data independently from the others. the input pulses. This prevents that a pulse larger than the expected gets chopped because of a too short acquisition window. 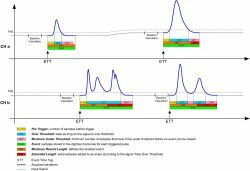 baseline drift of the input signal without changing the trigger conditions of the data acquisition system. the Time Over Threshold. This allows for a full reconstruction of the digitized pulses. to the veto generation if managed by an external logic unit. points by means of programmable Look Back and Look Ahead windows.